Tension rings are designed to apply tension to plain pipe. The traditional design uses saw teeth that “bite” into the surface of the pipe to hold it tight. This produces a very effective grip, but it also damages the pipe’s surface. Serious fatigue issues that can shorten component life may occur due to the stress concentration points in the damaged area. 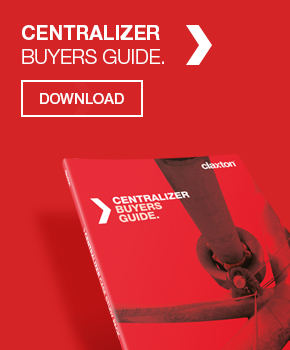 The industry has long been aware of the problems that arise from inappropriate pipe handling. Many technical papers describe the results of poor handling of corrosion-resistant-alloy tubular goods. Research has shown that conventional spider and elevator inserts cause die marks that promote corrosion, and that slips and tongs produce permanent marks on pipe bodies and tool joints that can lead to high stress concentrations, which promote fatigue damage. Early in 2013, Claxton was asked to develop a fatigue-sensitive method for applying pipe tension. The team took up the challenge and broke the work into two phases: selecting the most effective technical solution and then running extensive tests on the preferred option to assess its suitability. 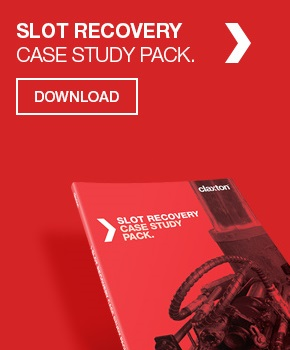 The Claxton team looked at various options that would deliver the necessary performance for pipe tensioning applications and selected a concept based on an established technique. 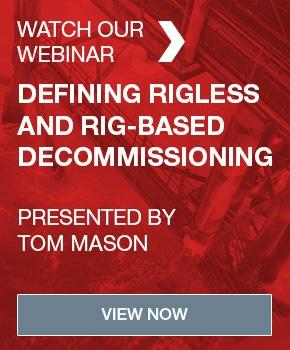 This field-proven technique has been in service in the North Sea since the late 1990s to provide a powerful gripping capability in a completely different oil and gas application. After rigorous and extensive testing, Claxton finalised the design of the new Gecko Grip tension ring, which uses slips with a high-friction coating instead of teeth. This approach significantly reduces the stress in the installed area of the pipe component and so improves its long-term fatigue performance. Gecko Grip slips can apply tension to slick pipe of all sizes, weights and grades, thereby saving rig time and eliminating space-out issues and the need for welding. The system is available in slimline tension rings and standard positive grip tension rings providing a rating up to 400 Te. The abrasive coating in the Gecko Grip system protects tubulars by minimising surface marking. The indentions from tensioning using the Gecko Grip are typically less than half of the API-defined allowable surface defect depth. They also form a random pattern to help eliminate the linear stress features that reduce fatigue life and pipe strength. In addition, the coating’s composition means that the slips will not create pits containing iron or steel contaminants that could cause rapid, premature corrosion failure in corrosion-resistant-alloy tubulars. Gecko Grip is aimed at production applications with longer installation times and for areas where customers have specific concerns about stress raisers and fatigue. 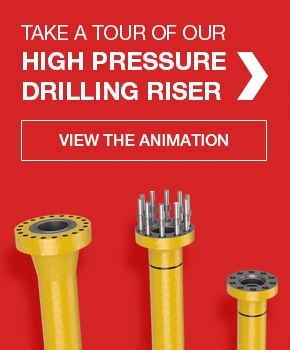 It is also effective when drilling with ultra-heavy duty jackups and when tension loadings are higher owing to deeper depths and heavier well control equipment. The original saw-tooth design, meanwhile, continues to provide good support for many exploration, drilling and short-duration applications. While developing Gecko Grip, the Claxton team had to overcome some substantial technical challenges. Perhaps the most significant of these was establishing confidence that the abrasive coating would not shear off during tensioning operations. Working in conjunction with the coating manufacturer, Claxton confirmed that the proprietary process that applies the abrasive material produces a bond that is stronger than the base material. There was no evidence of shearing during the extensive testing. But there was more to the development process than taking an existing product and repurposing it, as Matthew Marcantonio, research and development manager, Claxton, explains, “The development process called for some fundamental theoretical work. We had to establish in-depth understanding of how the existing products worked and take an informed view on how any new system we developed would perform under field conditions. This project was not a small step because we were moving away from established methods for pipe tensioning that have been in place for 20 years or more. The results of these tests were very encouraging. The Gecko Grip performed as required across the full range of pipe types and coatings, and the reduction in surface damage was clear for all to see. Even better news for operators is that the cost differential of applying Gecko Grip is insignificant when weighed against the potential damage to pipe and long-term fatigue issues associated with traditional tensioning equipment. 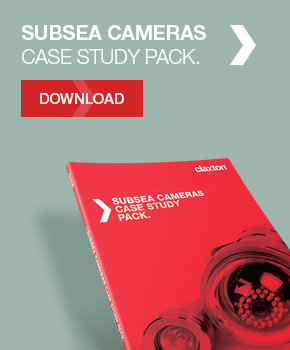 In mid-2014, a riser project in the North Sea provided Claxton with its first commercial opportunity to install the Gecko Grip tension ring. The team delivered two 200Te systems to tension and handle the high-pressure drilling riser on a newly built jackup drilling rig for an expected four-to-five-year drilling programme. The first (primary) unit was used successfully for three months, before removal to assess its performance. The second (backup) unit was then installed. “The customer wanted to use the Gecko Grip for this project to stop fatigue damage on the conductor pipe and saw a marked improvement by switching to this product. The primary unit was inspected after use and was found to be in exactly the same condition as when it was installed. The second unit also worked well out in the field, so it was a very successful result for the Gecko Grip and the client,” says Marcantonio. 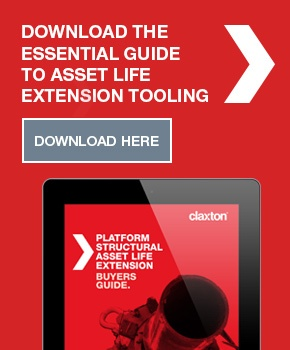 Claxton put the new tension rings through a full development cycle of sample testing, scale testing and then full-size testing before sending them out to the North Sea project. This upfront work paid dividends in early 2015 when a third Gecko Grip tension ring entered service for an additional client; field proving the technology up to 400Te. A Claxton Gecko Grip tension ring in use during a North Sea drilling campaign.